New Designs And More. For Automotive And Real Estate. Standing 15 FT Tall With Vibrant Colors Your Lot Is Sure To Get Recognized. 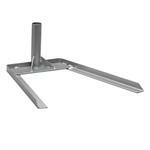 Sold Individually With 3 Pc Pole And Choice Of Ground Spike Or Tire Base. 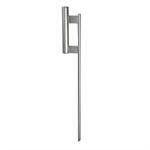 3 Pc Pole Hardware For Swooper Flag Kits Only. 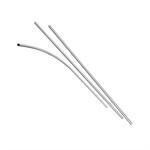 Sold With The Kit Or If You Need Just The Pole then Order this. 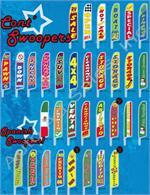 Standing Over 15 Feet Tall, Swooper Flag Kits Will Draw Attention With Only A Slight Breeze. With Bright Colors, This Durable Flag Will Be A Hit. Easy Repositoning Allows For Maximum Use Of The Swooper Flag. Available In Kit Form Also. 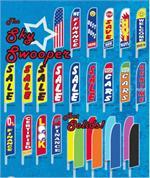 More Swooper Flags To Choose From Standing 15 Ft Tall These Flags Are Sure To Stop The Traffic In Front Of Your Lot! Sold Individually. You Can Order The Replacement Flag Or With Hardware. 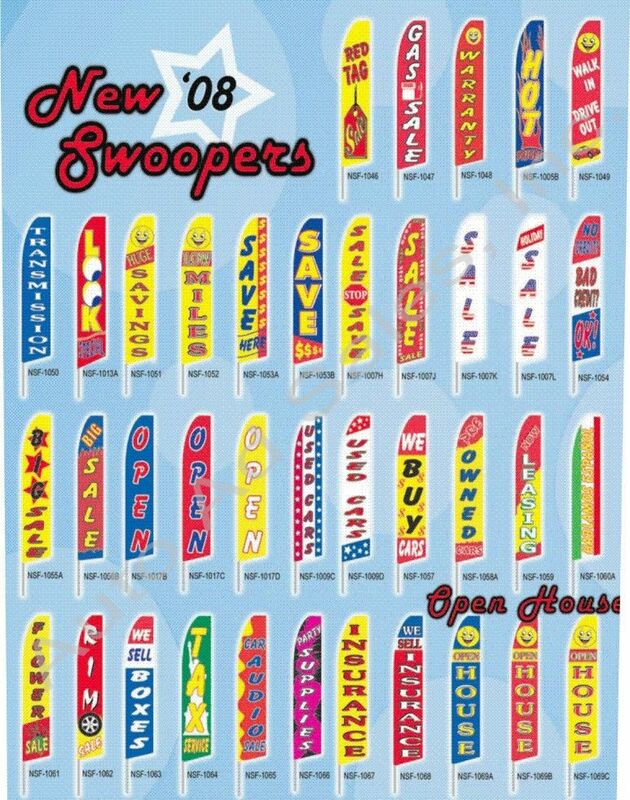 Brand New Swoopers For You To Choose From. 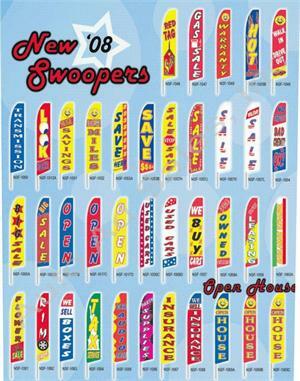 Swooper Flags Are Sold Separately Or with Hardware. You Choose.